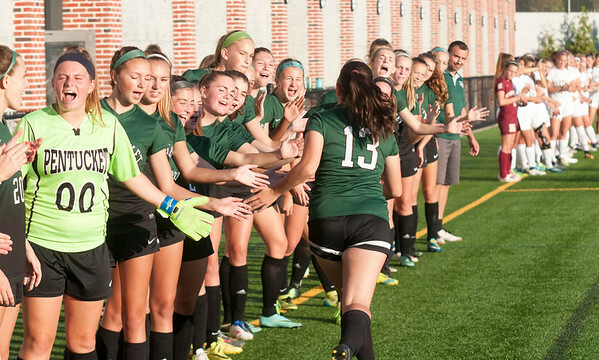 JIM VAIKNORAS/Staff photo The Pentucket girls soccer team cheers as their starters are introduced at the start of the annual ALS cup game against Newburyport Saturday night at World War Memorial Stadium in Newburyport. Newburyport defeated the Sachem 2-0 in the game. In the 2nd game the Newburyport boys defeated Pentucket 3-1.